Last week was even more of a mess than the week prior to it. This week? Plenty to do, but I do have a few minutes to post a quick update on some recent activity over here. 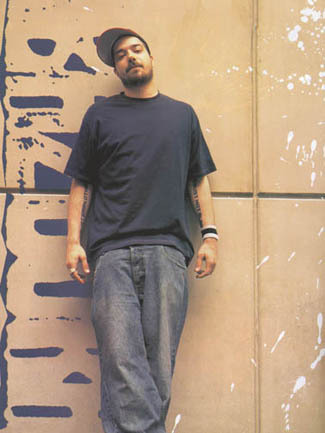 First, for those who missed it, I recently contributed a column to ZME Music commemorating the tenth anniversary of the release of my favorite hip-hop album of all time, Aesop Rock’s Bazooka Tooth. Hip-hop had never cast such an anti-establishment love letter to any city as Ian Bavitz did to New York in a moment when that town desperately needed it. While what I wrote skewed heavier toward media studies and sociology than geography, there is plenty of place-based thought crammed into there. I hope you enjoy it and would love to hear your thoughts, especially if you haven’t endured the positive brain-numbing of this record yet. Last weekend, I inherited a massive stash of postcards mailed to Brooklyn from around North America over the course of the Great Depression and the onset World War II. I am not adequately prepared to explain the significance and context of these cards here, but I am happy to provide a teaser. 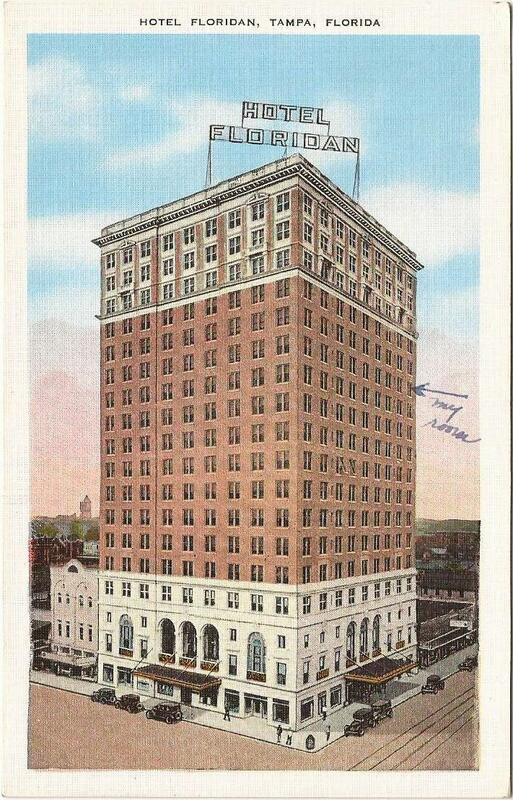 In honor of the upcoming 2014 Association of American Geographers meeting in Tampa, Florida, here are a few wonderful postcards from the region in 1938, with brief descriptions. Taken as a whole, they represent a fine cross-section of the pre-Disney Florida tourism industry imagery. (h/t to Derek Alderman for this observation). All scans are mine. 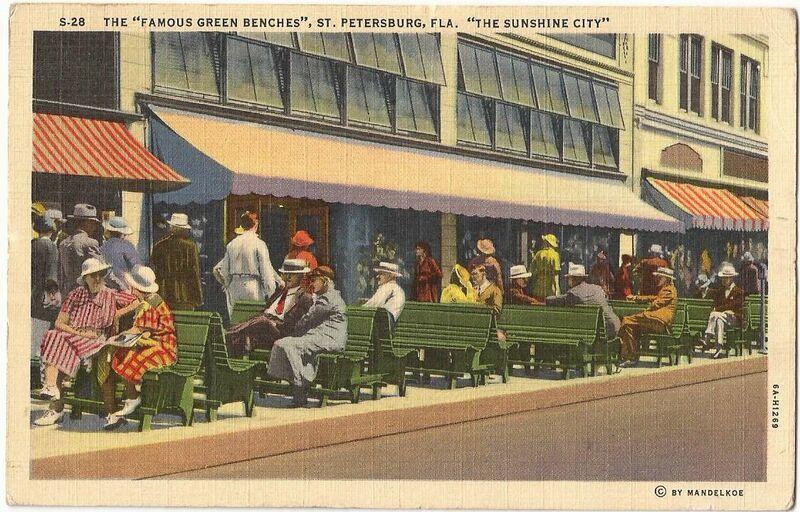 Many American cities have unfortunately done away with benches like these for class and urban blight-related reasons, but the ones in St. Pete have gone through a bizarre history, now lending their heritage to the city’s finest craft brewery. Read more about the green benches here. Until I saw this one, all I could really tell you about Bradenton was that it was the subject of a Hot Water Music song. 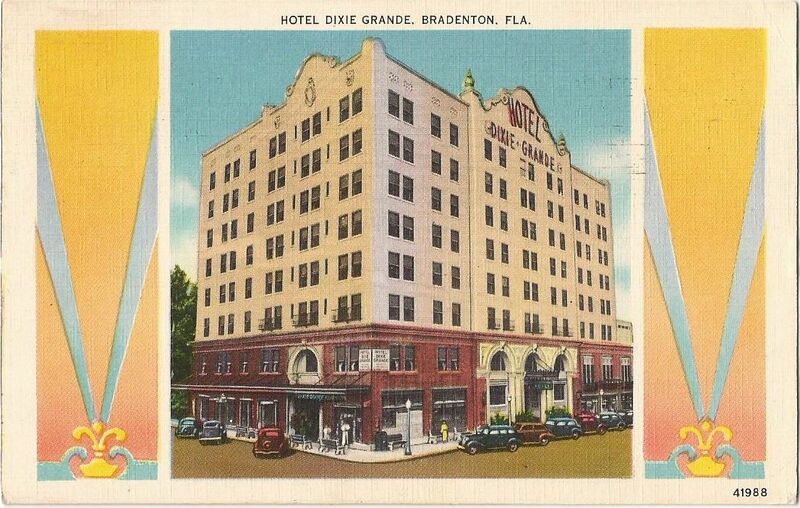 When I saw this archival photo on the postcard, flanked by these cool 30s-Hollywood decorations on the side, I discovered Bradenton had quite the fancy landmark back in the day. The city tore the building down in 1974. You can read more about that here. About eight decades before Dubai had everyone in the developed world talking about man-made islands, the enigmatic D.P. 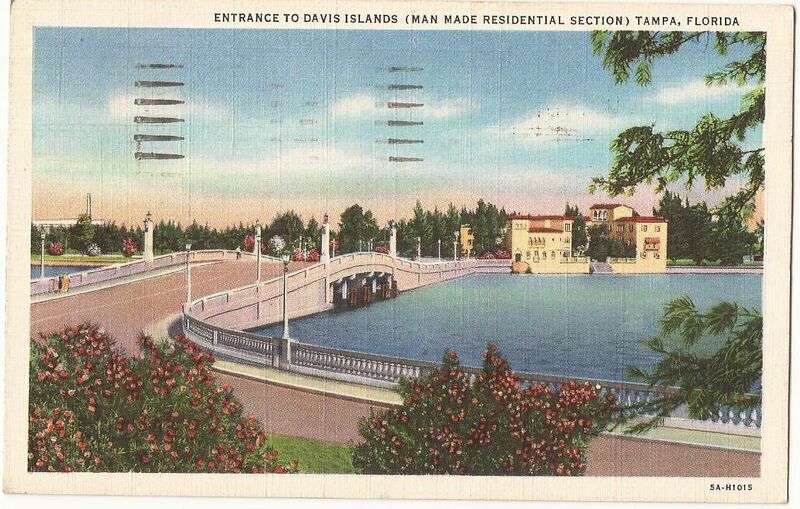 Davis (one of the kings of the Florida land boom of the 1920s; read about him and the boom in this masters thesis here) pumped a bunch of mud onto a pair of small grassy atolls and created one of Tampa Bay’s first upper class residential communities. More background can be found here. Of course what better place to stop than the Hotel Floridian? It has a fairly common story: built at the height of the Jazz Age in 1926, fallen into disrepair, and restored to a modicum of its glory, and available for those who can afford rooms today. The ribbon was actually re-cut last year, so looks like it was just in time for the hordes of Geographers who probably can’t afford to stay there but will definitely pass through and take a look. The value of music is, I believe, to be found in terms of the human experiences involved in its creation. 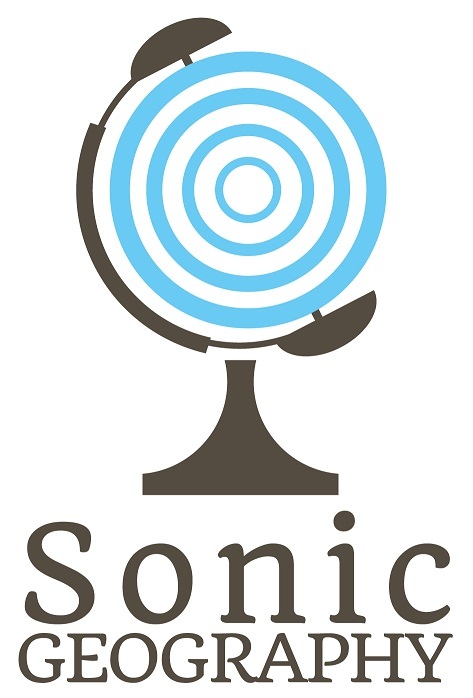 There is a difference between music that is occasional and music that enhances human consciousness, music that is simply for having and music that is for being. I submit that the former may be good craftsmanship, but that the latter is art, no matter how simple or complex it sounds, and no matter under what circumstances it is produced. – John Blacking, 1973 How Musical is Man?, University of Washington Press, (2000 Edition), p. 50. Merchandise – Time from Id House Vid. Group on Vimeo.